What’s The Theme Music For True Detective Season 3? True Detective is finally back for season 3, and its opening and closing theme songs set an appropriately gloomy mood for the show's new installment. Nic Pizzolatto's crime anthology series premiered on HBO in early 2014 and went on to become a hit for the network, fueled by Pizzolatto's storytelling, Matthew McConaughey and Woody Harrelson's performances, and Cary Fukunaga's direction across all eight episodes. HBO was quick to order a second season thereafter, but with Pizzolatto as the sole principal player back from season 1. Whether it was the relatively quick turnaround between seasons, Fukunaga's absence behind the camera, or a combination of these factors and more, True Detective season 2 ended up being a misfire across the board. Following season 2's underperformance in the summer of 2015, HBO's president of programming took the blame for rushing the season and the network at large gave Pizzolatto an extended amount of time to work on True Detective season 3. Mahershala Ali - fresh off his Best Supporting Actor Oscar win for Moonlight - entered talks to headline season 3 in June 2017, and the season itself was green-lit some two months later. The first wave of reviews suggest season 3 takes a back to basics approach to the series (for better or worse), right on down to its melancholic opening and closing theme music. True Detective season 3's opening credits are accompanied by Cassandra Wilson's cover of "Death Letter", which was written by Delta blues music icon Son House and featured prominently in his live performances during the blues music revival of the 1960s. It's known for being one of the more depressing and mournful classic blues songs ever written, making it all the more befitting of a series as broody and darkly atmospheric as True Detective. Season 3's closing theme - Mike Newbury's '60s counterculture tune "Just Dropped In (To See What Condition My Condition Was In)" - is almost upbeat by comparison. Much like True Detective season 1's opening theme song "Far from Any Road" (by The Handsome Family) and season 2's opening credits tune "Nevermind" (by Leonard Cohen), "Death Letter" is a mood-setter for season 3 right off the bat. Season 3, like season 1, takes place in the southern U.S. (Northwest Arkansas, to be exact), making it use of a Delta blues tune like "Death Letter" all the more fitting. However, the connection between the show and song may run a little deeper than their shared geography. "Death Letter" is the story of a man who receives a letter, informing him that a woman he loved has passed away. 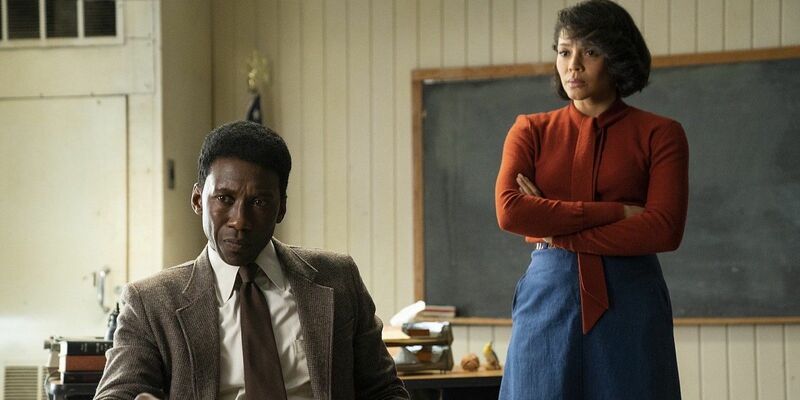 Trailers for True Detective season 3 have shown that Ali's character - state police detective Wayne Hays - is an old man in the show's present-day and is likewise haunted by the memory of Amelia Reardon (Carmen Ejogo), a schoolteacher whom he met while investigating the disappearance of two children back in the '80s. From the look of things, this missing children case not only drives the plot of season 3, but very much becomes Hays' obsession over the years - or, in a figurative sense, his drug of choice. In that regard, it's appropriate that season 3's closing theme, "Just Dropped In", is a tune about the dangers of drug use and its effects on a person's psychological well-being. Of course, most people are probably more familiar with Kenny Rogers & The First Edition's cover of Newbury's song these days, thanks largely to its use during the famous dream sequence from The Big Lebowski. Newbury's original version is more subdued and muted by comparison, which drives its point home: drugs are no laughing matter, kiddos (nor are crime investigations that haunt detectives for decades after). True Detective airs Sunday nights on HBO. This entry was posted by Screen Rant on January 13, 2019 at 5:01 am, and is filed under TV News. Follow any responses to this post through RSS 2.0. You can skip to the end and leave a response. Pinging is currently not allowed.